In the wake of natural disasters, the idea that systematic change might be needed to prevent future crises often takes a backseat to restorative efforts. But as disasters become more common, there is often a blurring of disaster response and development initiatives. Efforts in the Horn of Africa, for example, have gained significant traction by working with smallholder farmers to diversify crops and plant drought tolerant, disease resistant seeds. Weather patterns in the region have become increasingly variable, with fluctuating rainfall levels, more frequent drought, and shifting seasonal patterns. Smallholder farmers and pastoralists in the region are often too poor to withstand the resulting extremes (drought and flooding are among the main killers in the region). The experience has sparked conversations on increasing clarity about what “resilience” means, in order to ensure mutual understanding – between donors, partners, implementers, and affected communities – of a project’s scope and goals. To this end, the resilience roundtable held in December included a group of operational development agencies (World Vision, Mercy Corps, Catholic Relief Services, and CARE) that have formed a Resilience Learning Consortium to try to understand the role of past systemic shocks and their impacts on long-term vulnerability. For some, there are still concerns that the greater policymaking community has yet to develop and agree on metrics that can accurately portray complex systems and intervention impacts. One attendee asked how NGOs incorporate social capital variables of and the linked or independent nature of various livelihood sources into their assessments. Multiple attendees pointed out that drivers of vulnerability aren’t occurring in a political vacuum from disaster intervention, but rather they reflect social inequities that create vulnerabilities in the first place. A failure to incorporate social dynamics and political infrastructures in resilience planning all but ensures a program will end up bolstering the stability of harmful or unjust systems. As one panelist observed, many adaptation policies have resulted in conflict – so how do you ensure resilience programming takes conflict mitigation and “do no harm” into account in order to have a positive impact? But to ask the very frank question: were you able to lean on others during the last drought? Will you be able to lean on others during the next drought? That might strike some of us as odd, as how would you know? But a pastoralist sitting in northeastern Kenya knows, they know whether they’re part of a reciprocal obligation network, or whether they’re out of that network. By incorporating preliminary vulnerability analyses into development strategies, it is possible to target specific variables that might prevent community adaptation and growth. However, there is little agreement on universal indicators for social, economic, political, or environmental dynamics that may affect resilience. Participants did agree on some of the right questions to ask: How does thinking in terms of systems change what NGOs actually do? In operational terms, what’s the best way to better coordinate across sectors? How can existing resilience programs be scaled up while maintaining important contextual differences between places and communities? Unfortunately, there are no fail-safe answers to these questions yet, but the collaborative discussion found policymakers uncovering multiple social vulnerability indicators to consider in interventions that seek to not only build back but prevent the next disaster. A pivotal aspect in this planning is understanding demographic and community data as reflective of where people are most vulnerable in their own value systems. Sources: The Sahel Working Group, World Vision. 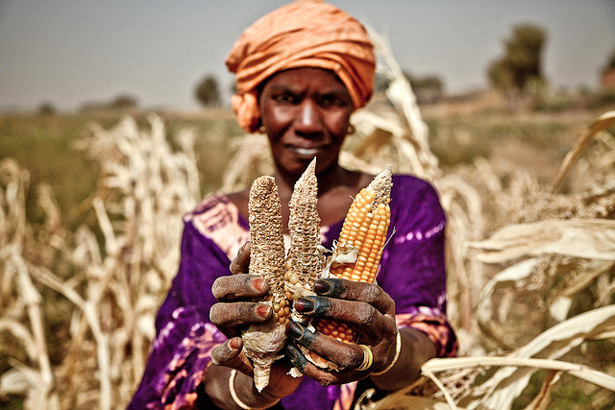 Photo Credit: Drought response in Mauritania, courtesy of Pablo Tosco/Oxfam.